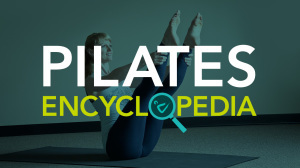 Before Danielle first started Pilates in 2014 her body was sore all the time. “I had been doing Zumba and my joints were constantly sore, especially my feet and hips. After a half mile walk or a long car ride I would come home and was practically on the verge of tears due of the amount of joint and muscle pain. I finally went to physical therapy, and realized I had to do certain stretches and wear arch supports. As much as I enjoyed Zumba, it was just too much impact on my body. I couldn’t handle it. I looked into yoga, but I wasn’t into the spiritual aspect of it. My physical therapist had suggested Pilates, because I would be able to adapt and modify the movement after my abdominal surgery. I started to take Pilates classes twice per week. I felt great doing the exercises, and I could feel some progress right away. After 3 months I finally saw some momentum build and I noticed a big improvement, and then even more after 6 months. Within just under one year, I wasn’t sore anymore. I haven’t had to wear my arch supports anymore, because we had worked on foot strength in class. After my surgery, my doctor had told me that I won’t be able to do sit-ups anymore. I went for five years without even trying a sit-up. To get out of bed I had to roll onto my side and use my arms to push me up into a seated position. I was told it was impossible and I believed it, at first. Now I know that I can strengthen other muscles that could help the injured muscles. I remember when I was finally able to do a sit-up again, I excitedly called my husband and demonstrated what I could do. Pilates has totally changed my life. I went back to my surgeon and showed him what I could do. His jaw just dropped. If I had known what Pilates can do for me, I would have started much earlier. I wish I had found it sooner. I’m not sore anymore. I can go on hikes and long trail walks now. I have tools in form of stretches that I could do at home after especially long car rides or long walks.